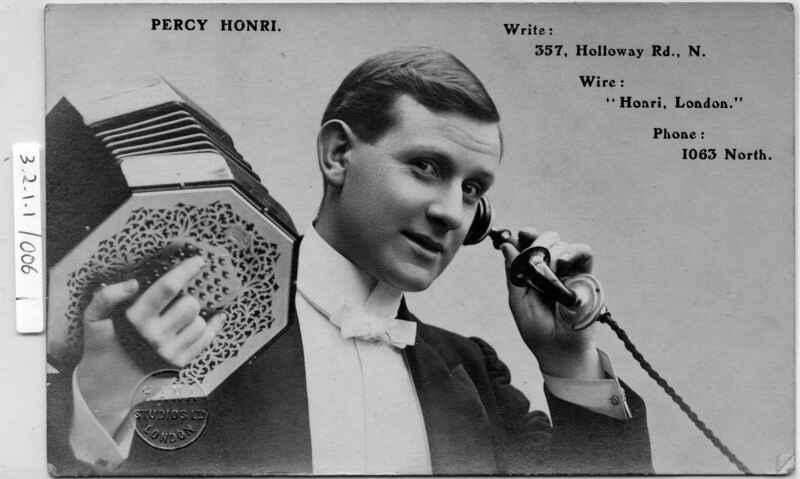 Full Description: A fine silver-print photo-card of the young Percy Honri, holding a large Wheatstone Maccann duet, and answering an early ‘trumpet-style’ telephone. Address to front includes Postal, Wire and ‘phone details. Divided rear, with crisp embossed circular stamp of “Hana Studios Ltd, London”.